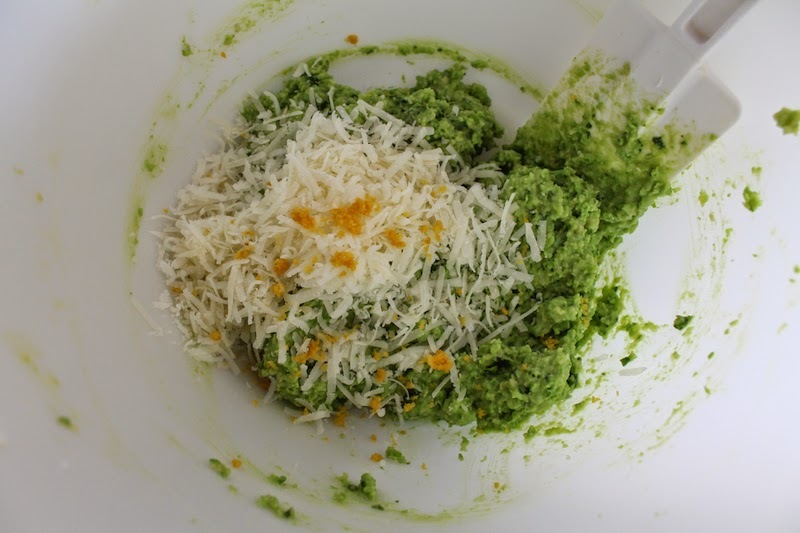 Fresh peas, goat cheese and Parmesan seasoned with garlic, lemon zest and loads of fresh basil make a flavorful patty, even before wrapping in zucchini and grilling! 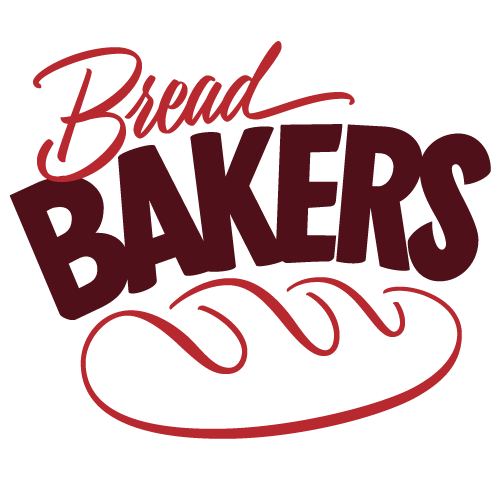 This month I am hosting the Foodie Extravaganza party and so I have the privilege of choosing the food holiday we are going to celebrate. I had a look at the calendar and couldn’t even consider any of the other options when I saw that May is National Hamburger Month! 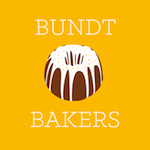 Perfect for writing about a great recipe that I made last summer and have just been itching to share. 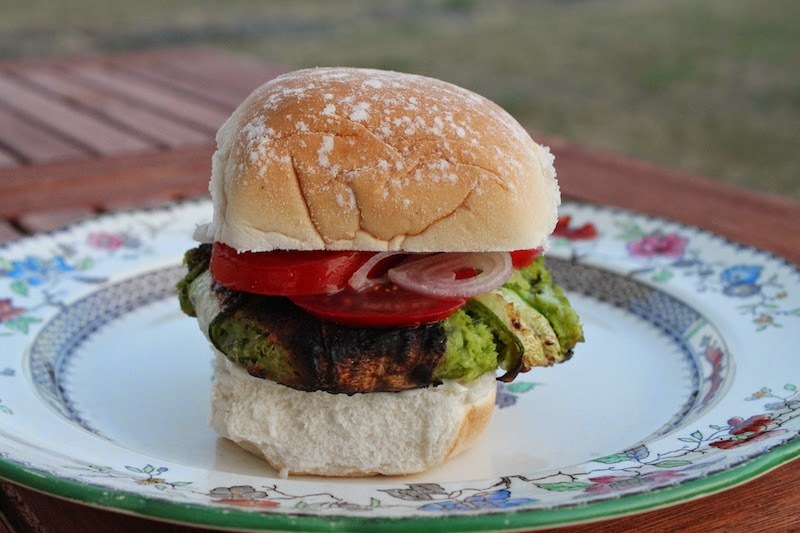 Finally, it’s getting to be grilling weather again in the rest of the northern hemisphere! Now burgers don’t have to be beef! Or even meat. 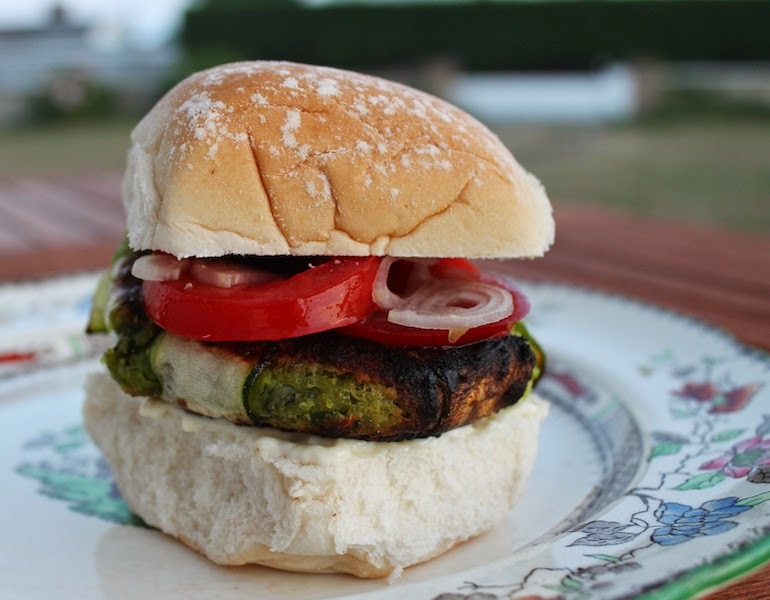 There are a lot of wonderful tasty vegetables and legumes that can be made into patties, grilled and popped on a bun. I make a mean lentil burger, for instance, with cooked Puy lentils, mozzarella and smoked paprika. But this recipe is pretty much straight out of the Waitrose supermarket magazine which they were giving out free at the checkout when we were in the Channel Islands. 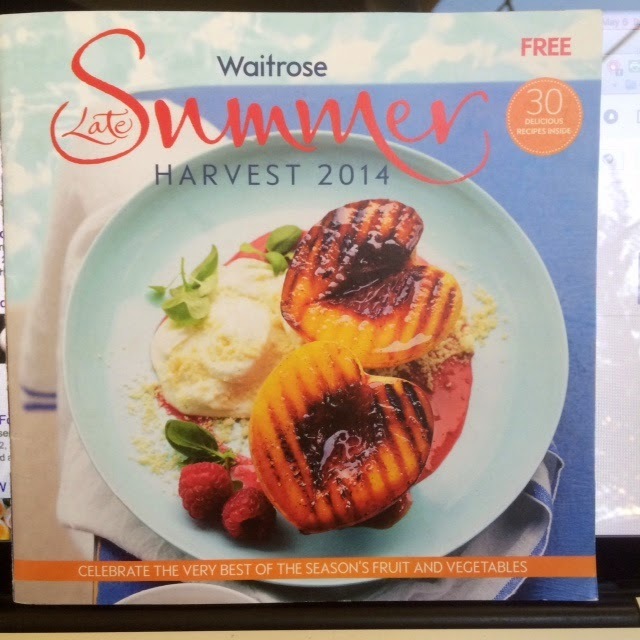 The original ingredient list called for specific store products, like Waitrose British Blacktail eggs. Well, I don’t know my laying hen varieties but I figure, when it comes to eggs, any fresh one, preferably free range, will do. 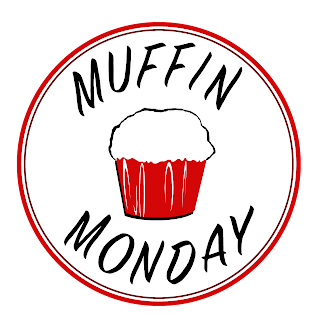 Make sure to scroll on down to the bottom of my recipe to see all the great hamburger recipes we have for you today! And happy National Hamburger Month! 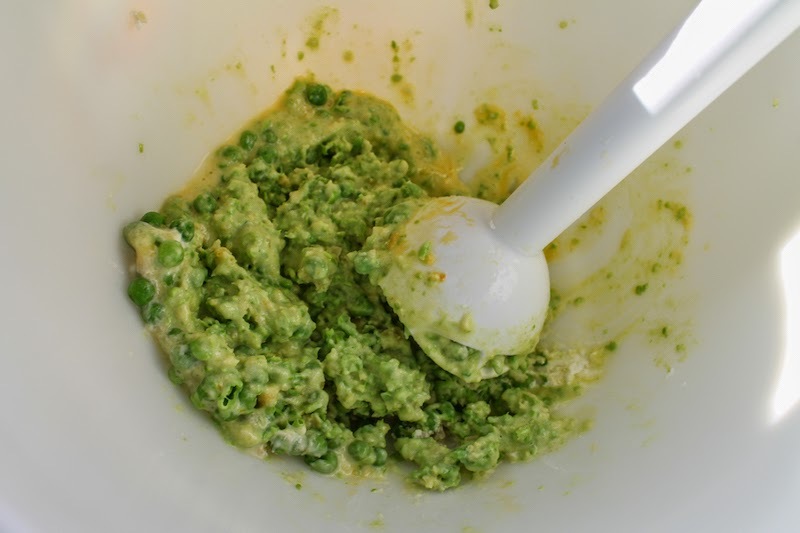 Put your peas, goat cheese, egg and garlic and in a big bowl and blend it all together until smooth with a hand blender. 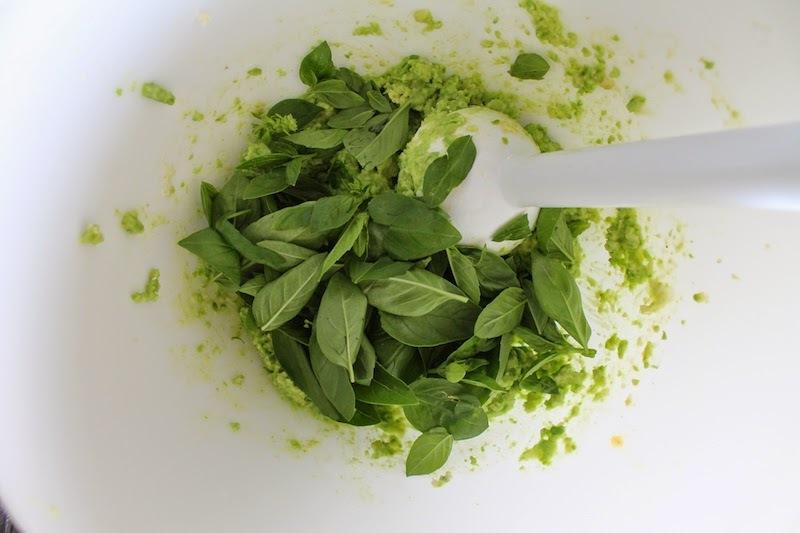 Or use a food processor. 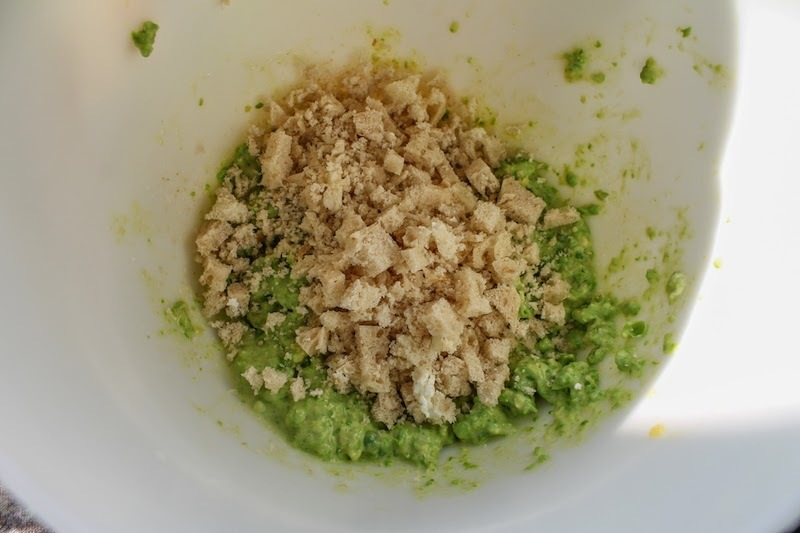 Add in the fresh breadcrumbs and blend (or process) again. Next the basil leaves go in. Then the Parmesan and lemon zest. 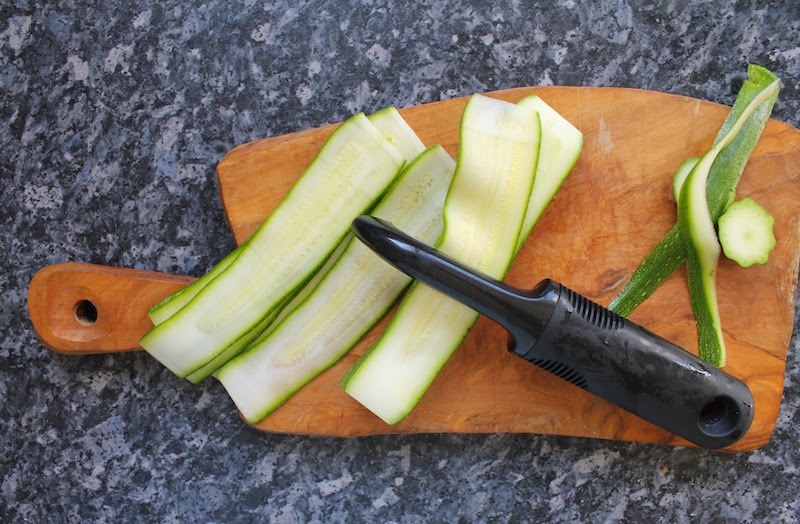 Thinly slice the zucchini with a potato peeler. Arrange them into crosses on a large piece of parchment paper on your work surface. My zucchini must have been shorter than the ones they used in the magazine because I had to overlap them in the middle to wrap all the way around. 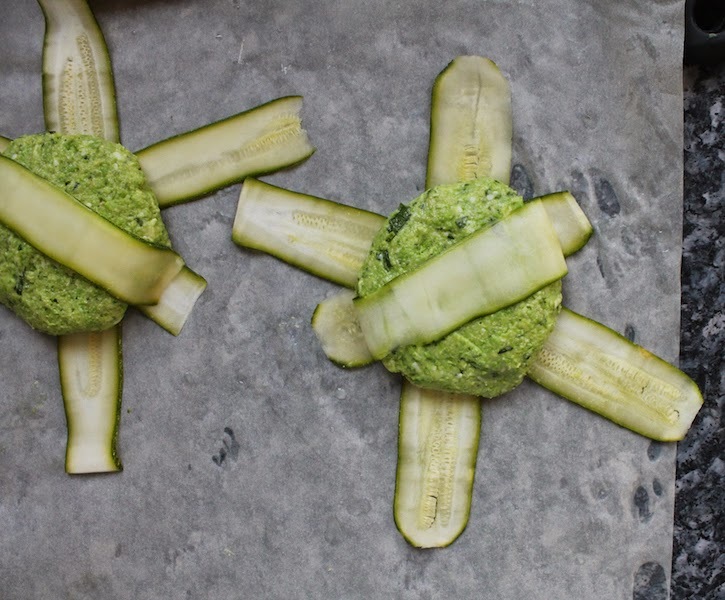 Form your cheesy pea mixture into four patties and lay one on each of zucchini crosses. 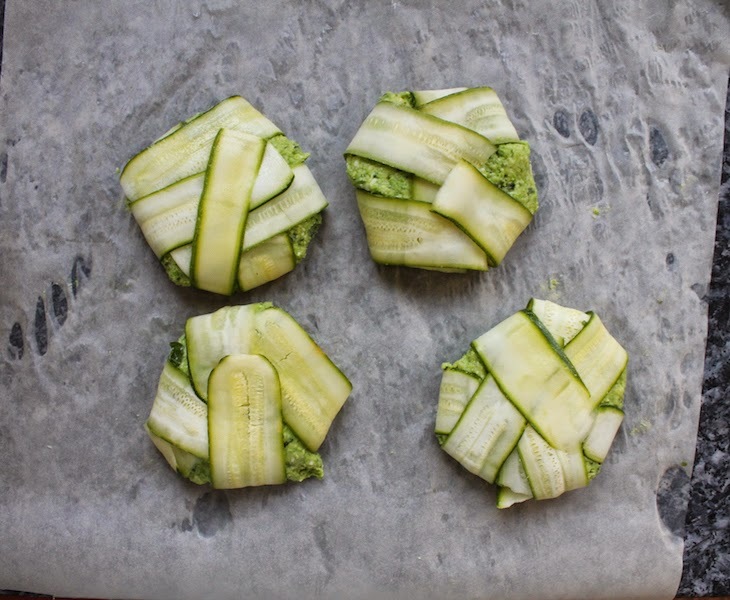 Lay a final slice of zucchini on each one and fold the ends under the patty. Fold the rest of the slices up and over the patty. They may not be pretty but they will be tasty. 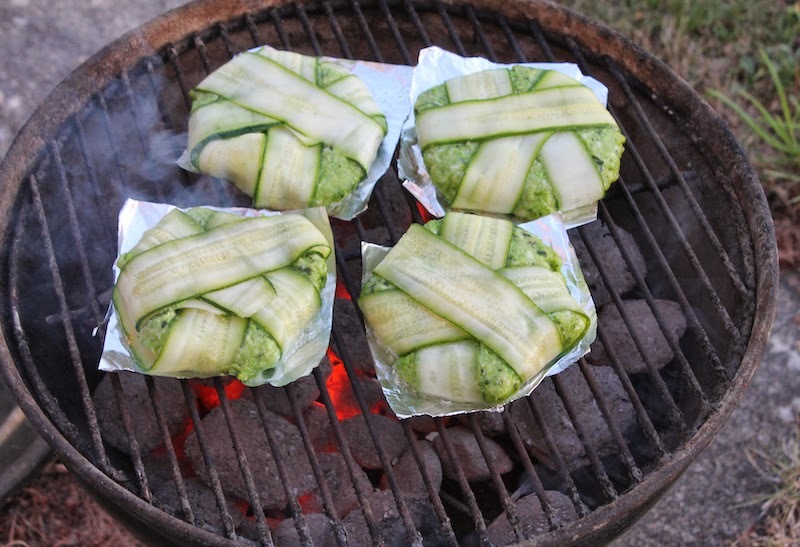 Put these, covered in cling film, into the refrigerator until you are ready to grill. When you are ready to grill, light the charcoal and leave it until the coals are white and heat is uniform. 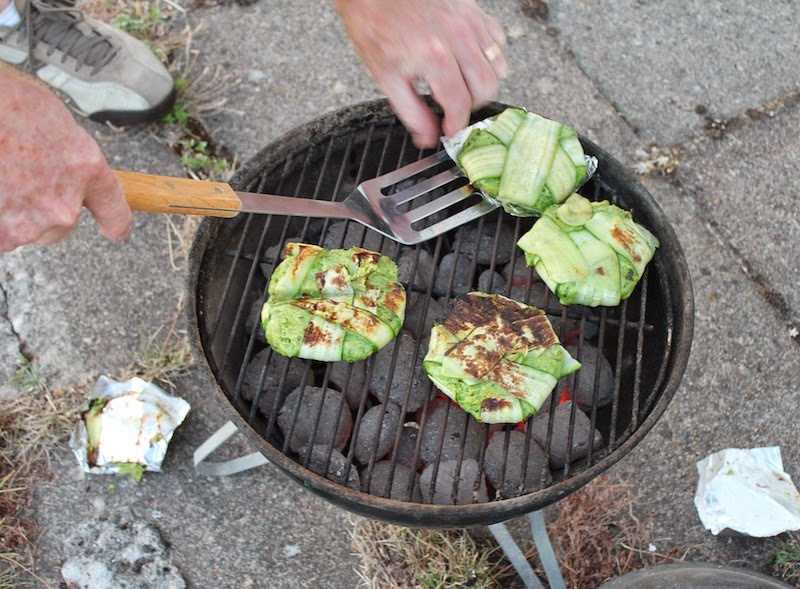 Brush one side of the patties with olive oil and lay each patty, oil side down, on a small square of aluminum foil. Brush the tops with oil. 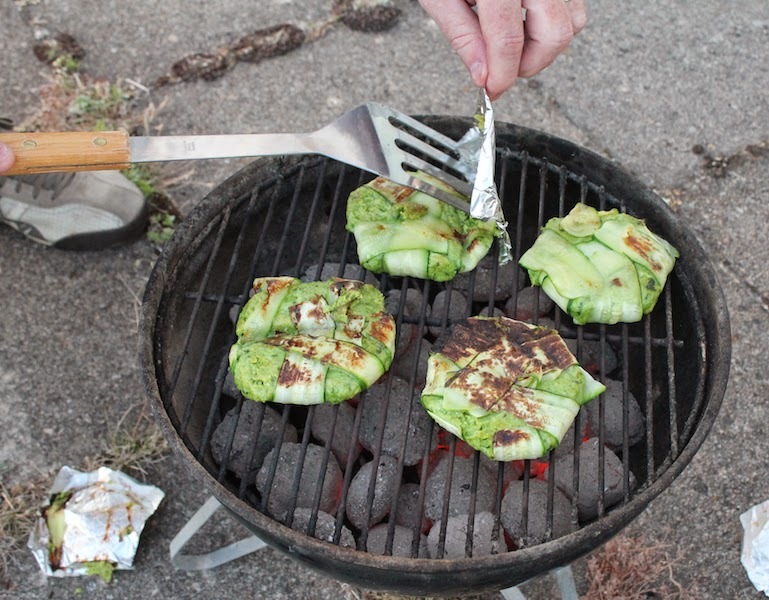 Place these on the grill and cook for about four or five minutes. Check that the underside of the patties are browning nicely. Turn the patties over and carefully peel off the foil. Cook on that side until the patties are nicely browned. Turn the patties a couple of more times to make sure they are browned evenly and are cooked through. 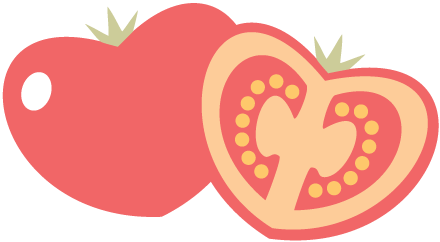 Serve on toasted buns with mayonnaise, sliced tomato and onion. 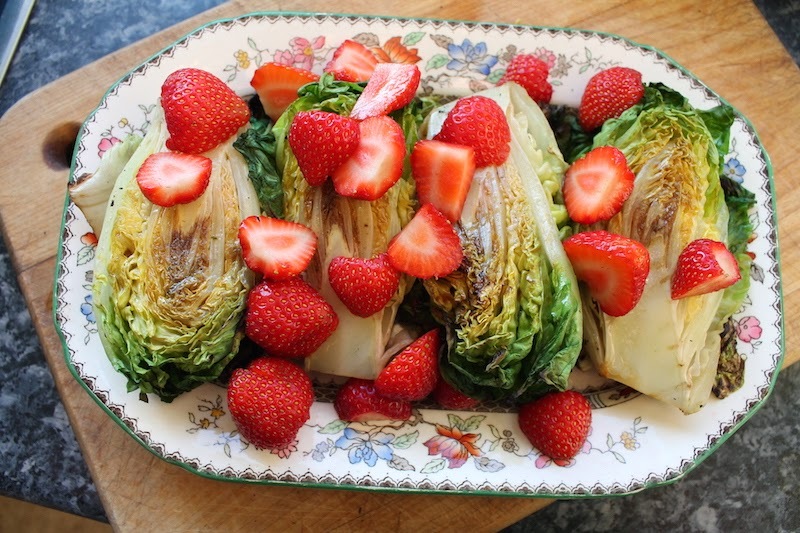 And my husband is so good on the Weber that I asked him to grill baby gem lettuces and I made this salad to go along side the burger. Isn't it pretty? Check out all the delicious burgers we have for you today! 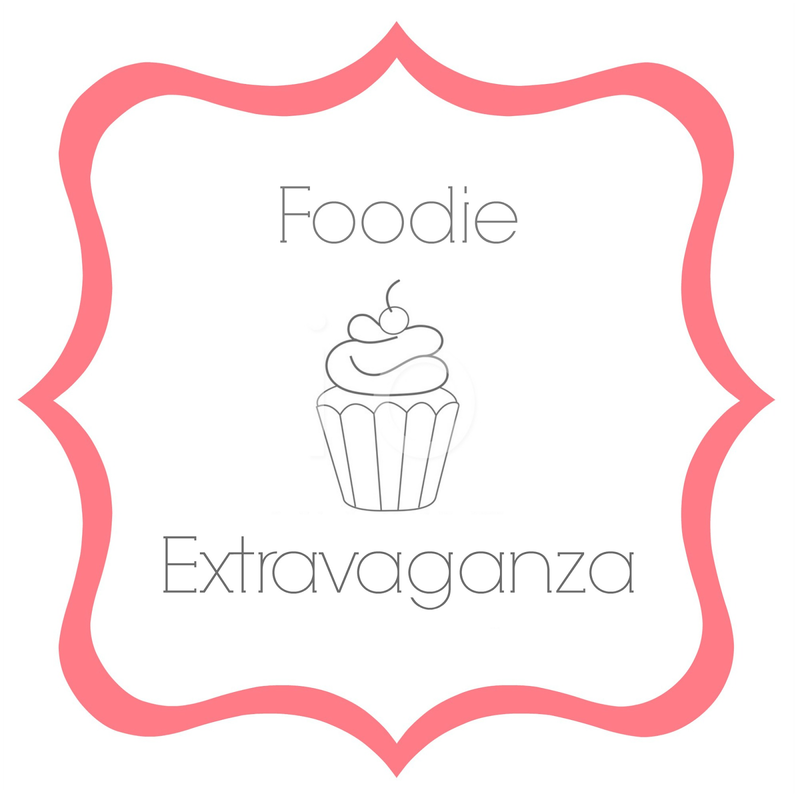 Foodie Extravaganza is where we celebrate obscure food holidays or cook and bake together with the same ingredient or theme each month. This month we celebrate National Hamburger Month by serving up burgers of all kinds.